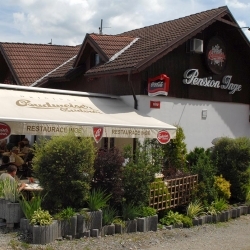 48° 37' 21.2", 14° 18' 24.5"
Starting with breakfast for the guests, the INGE Restaurant operates throughout the day and offers the Czech traditional dishes and the famous Czech original Budvar beer. The restaurant is suitable for groups, individuals, families and company parties. In the summer, a sun terrace for 30 more guests is available.